View More In Ukulele Accessories. In the early 1900s the ukulele was king. Waverly uke pegs bring back a simple but innovative non-geared design that tuned many fine instruments: the knob screw adjusts the tension, and an internal coil spring provides smoothness and slip-resistance. Unsurpassed by standard friction tuners, they combine precision-machined quality with an authentic vintage look. Simply the finest traditional friction pegs you can install on your ukulele. Matt Umanov of Umanov Guitars, NYC, has this to say about Waverly Ukulele Friction Pegs: "The smoothest and most consistent-working non-geared ukulele tuning pegs I've ever seen, new or old." Waverly Ukulele Friction Pegs offer modern precision with vintage style, ideal for instrument restoration. Waverly tuners will work properly in pegholes with diameters between 7/32" and 1/4" (5.56mm to 6.35mm). 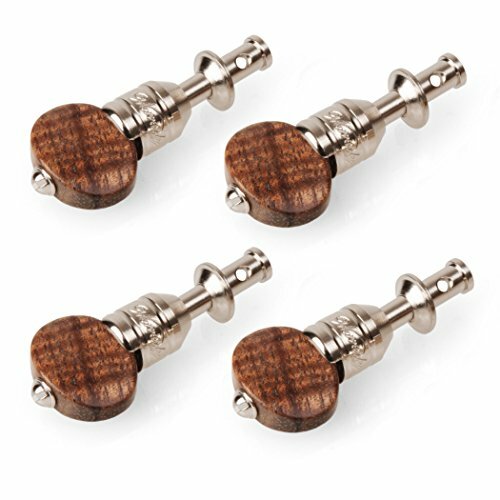 Set includes 4 tuners made of nickel-plated brass, with beautifully polished curly koa knobs. 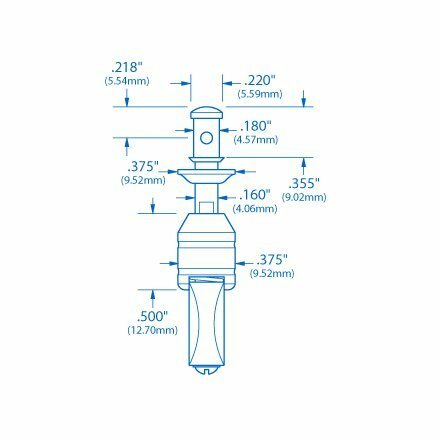 For new builds, we recommend drilling a 3/16" (5mm) peghole diameter. For appearance and proper function, pegholes should be chamfered for the top washer and the rear housing. We suggest using a #5 center drill (countersink) for cutting this chamfer. Peghead thickness can vary from 5/16" to 9/16" (7.94mm to 14.29mm).